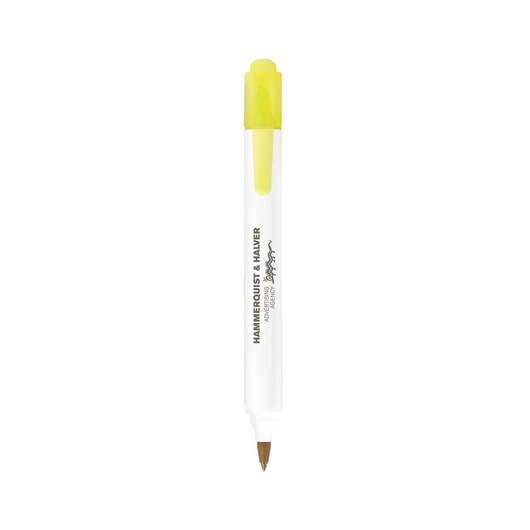 A Bic highlighter and pen all in one compact writing tool. 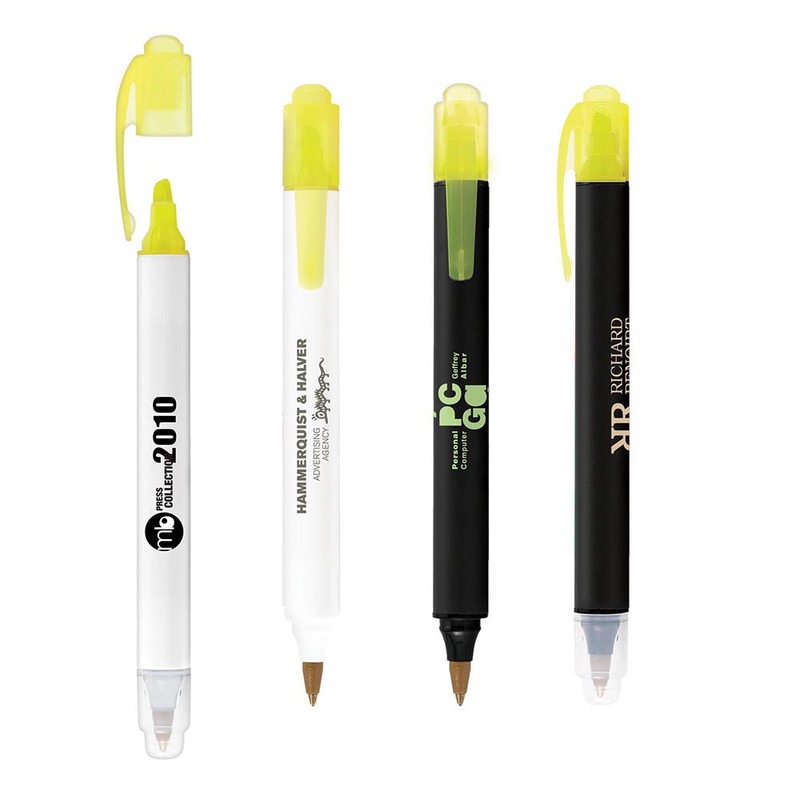 The Bic Two Sider brings you a 2-in-1 pen/highlighter combo with your logo presented centre stage. These are a great giveaway item and due to their extreme usefulness are a great addition to any pencil case or stationary set. Choose from either a black or white barrel with black ink and a yellow highlighter. 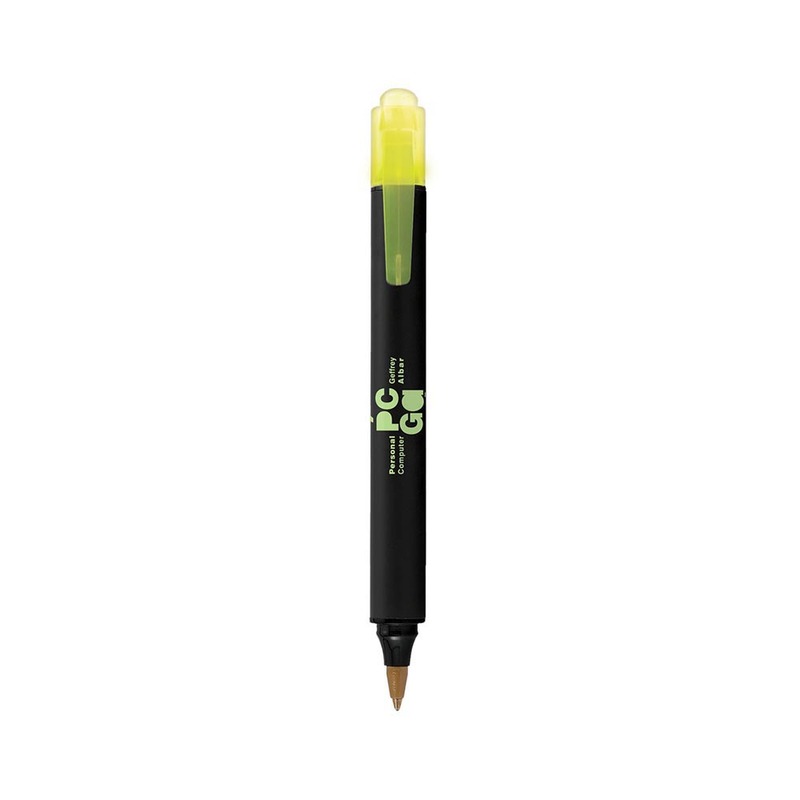 Easy to use and easy to switch up, simply turn the pen upside down to use it's other component. These also come with two lids to extend the life of the writing tool.